Parents and registered leaders: Please make sure you have obtained your clearances. All parents and registered leaders should have turned in clearances to our Clearance Coordinator and Registered Leaders should have uploaded them to Laurel Highland Council Website by now. ALL NEW LEADERS AND PARENTS MUST SUBMIT THEM WITHIN 30 DAYS OF JOINING THE TROOP. Clearances must be renewed approximately every 5 years. 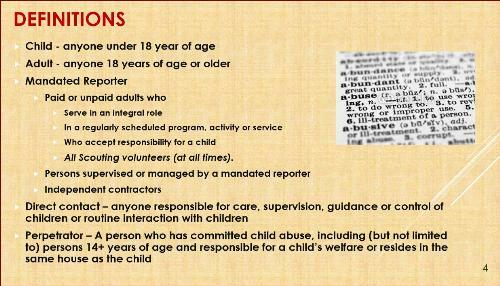 Pennsylvania Child Protection Legislation - BSA - April 2015.pdf LHC=BSA Pennsylvania Child Protection Legislation - BSA - April 2015. The Mission of Boy Scouts is to prepare young people to make ethical and moral choices over their lifetimes by instilling in them the values of the Scout Motto, Oath, and Law. 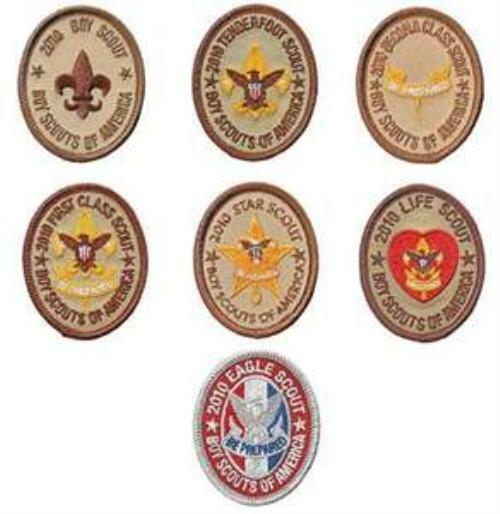 For information about making the journey from Tenderfoot to Eagle in Troop 23 (advancement) see Rank Advancement page. Do you need some scouting inspiration? Check out the Scoutmaster Minute. Do you need some URLs for other scouting sites? Check out Local BSA Links and BSA Links. Don't forget about new Training opportunities.